You gotta love the episodes of TV that make your heart race. Ones that leave you with a knot in your stomach – the kind of feeling that should be reserved for, you know, real life events and not TV characters. That’s precisely the effect this week’s Suits had on me. Let’s start at the beginning. Rachel, NOOOOO!! How could you!? You have a gorgeous, insanely smart and successful boyfriend who loves you, you two have a fabulous Anthropologie furnished apartment together and you had to go and kiss your shady married ex-lover? I knew what she was going to do just by the look of the push-up bra she was wearing. ARGH. That isn’t the end of a painful episode for New York City’s best paralegal. After her little indiscretion, Rachel makes matters worse by manipulating Mike so that Logan is no longer Harvey’s client. The plan backfires for everyone involved. Jessica Pearson is determined to put Logan Sanders’ deal to bed once and for all. The SEC is catching on to Person Spector’s “questionable” stock sale from last week and it needs to be dealt with quickly. Turns out, Jeff Malone, the brains behind the original sale actually missed an important detail, a detail only finance genius Louis Litt was able to catch, that undoes the entire stock sale. 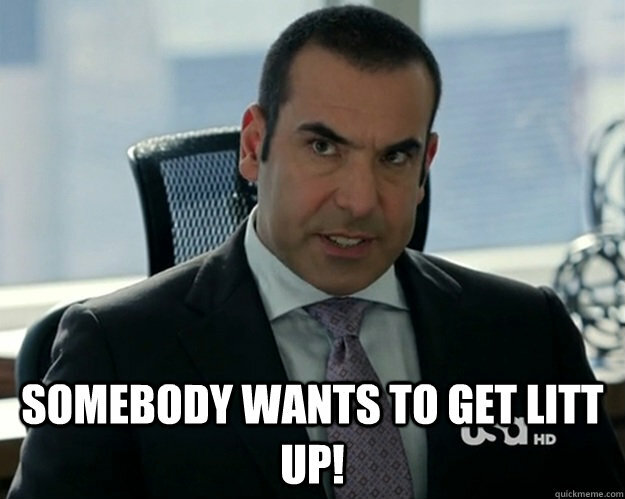 First of all, where can I get one of those “You Just Got Litt Up” mugs? The opening scene with Louis trying to make amends with Harvey really struck a chord and that emotion comes through at the end of the episode when those two need it most. First Louis finds the crucial mistake that saves Pearson Spector from its stock sale. While this is good news for Jessica and the firm, it blindsides Mike and throws Harvey for a loop. Ultimately, in the words of Harvey Specter, Charles Forstman gets Litt the hell up. Sean Cahill from the SEC accused the estranged team of colluding last week. Those suspicions haven’t gone away. In fact, Logan Sanders is brought in for questioning to find out if the former pair is working together. Frankly, nothing would have made me happier than to see Logan squirm. All he’s done this season is cause Harvey and Jessica huge headaches while doing everything in his power to break up one of TV’s cutest couples (though if they do break up next week, I won’t blame Mike at all). But back to how all this affected Mike and Harvey. 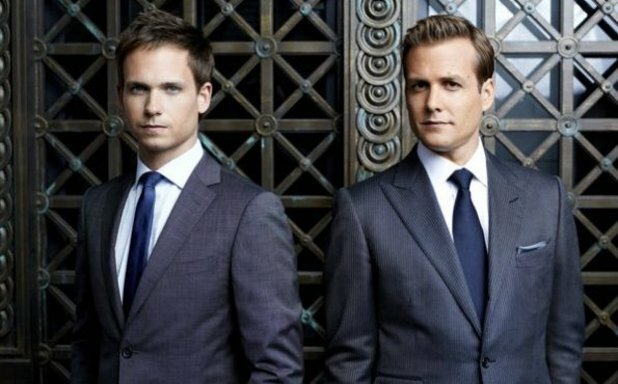 Well, as expected, Pearson Specter won the Gillis Industries takeover pretty emphatically. And of course it was Louis who Litt the deal up (that’s not getting old anytime soon). Also, as expected, Mike’s dealings with shady bigwigs came back to bite him in a big way. But poor guy. Of course Sidwell was going to fire him. And now not only is he never going to work in investment banking again, but his relationship with Rachel is in jeopardy. He’ll probably end up back with Harvey at some point, but for now, I wouldn’t want to be Mike Ross.